This Lapel Speaker Microphone for Handheld CB Radios is an awesome accessory and can keep both hands free when necessary! Clip your handheld radio to your belt, tactical vest, or LBE gear and enjoy communicating on your walkie-talkie radio as you were meant to...hassle free! Goes great with the 75822 Midland Handheld CB Radio! 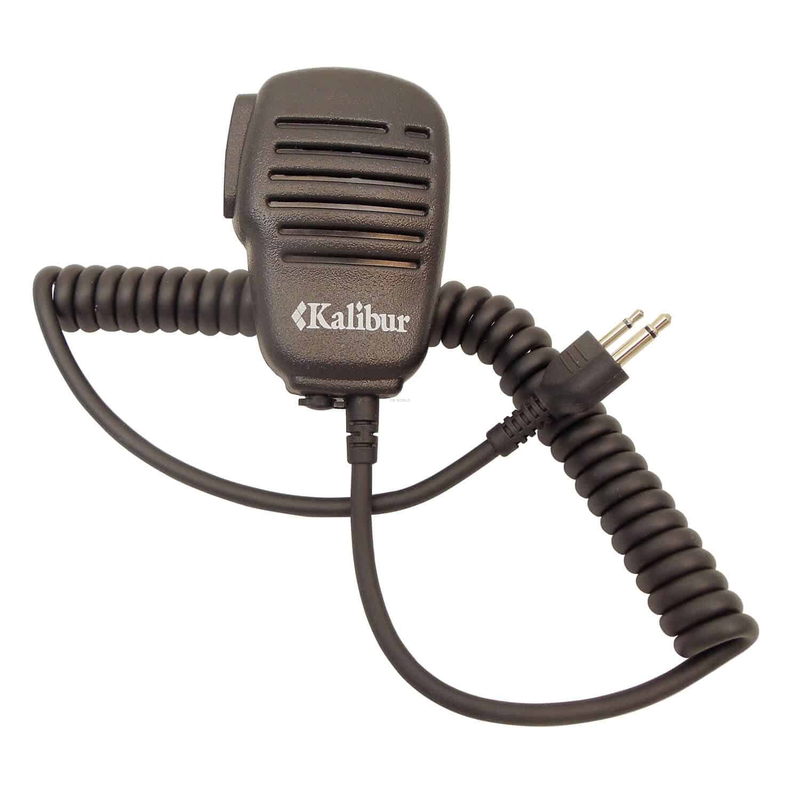 The KSPM1 speaker microphone is designed for handheld CB and FRS radios. It is compatible with walkie-talkie style radios that have a twin 3.5 mm stereo 2.5mm mic accessory connector. Looking for an earpiece that is compatible? Check out the AUEPD1! A 3.5 mm earbud jack for private conversations is located on the bottom of the lapel speaker-microphone. The Push-to-talk button located on the side of the mic helps to avoid the dreaded open mic that can happen with other manufacturers speaker/microphones. A robust rotatable clip allows the mic to attach easily to a collar for ease of hearing and transmitting. 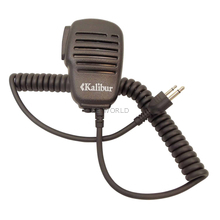 The Kalibur KSPM1 is ideal for commercial, professional, and amateur radio operators. Plug it into your Cobra or Midland handheld CB radio for remote speaker and microphone operation.It is one of the best speaker mics for this purpose available today. The KSPM1 is a two pin speaker mic that is compatible with all current Cobra and Midland Hand CB radios, including these handheld CB radios.